To help class members understand from the example of the brother of Jared how faith can enable us to enter the presence of the Lord eternally. Andersen, Joe V. Book of Mormon Objective Geographic Standard No. 3: West-Sea Bountiful, Desolation, the Line between Them, and the West Sea ., 2016. Thompson, John S. "The Jaredite Exodus: A Literary Perspective of a Historical Narrative." Journal of Book of Mormon Studies 3, no. 1 (1994): 104-112. Sorenson, John L. "Towers in the Book of Mormon." Insights 21, no. 2 (2001). Sorenson, John L. "Old World People in the New." In Pressing Forward with the Book of Mormon: The FARMS Updates of the 1990s, edited by John W. Welch and Melvin J. Thorne, 248-252. Provo, UT: FARMS, 1999. Middleton, Michael W. "Gathering in the Last Days: Saved in Sheaves, Burned in Bundles." In The Book of Mormon: Fourth Nephi Through Moroni, From Zion to Destruction, edited by Monte S. Nyman and Charles D. Tate, Jr., 185-197. Provo, UT: Religious Studies Center, 1995. Barney, Kevin L.. "On the Etymology of Deseret." BCC Papers 1, no. 2 (2006). Hugh Nibley's suggestion that the Book of Mormon word "deseret", defined as "honey bee", was related the Egyptian DSRT, meaning "red crown" but sometimes replaced with the glyph for "bee", has long been the default etymology among Book of Mormon scholars. This proposal does have some weaknesses, though, so scholars should remain open to other possibilities. One alternative may be an archaic from of the Hebrew term for "bee", DBRH. This entry provides further explanation into the seemingly difficult task of transporting swarms of bees across the ocean in barges. This entry explains the apparent anachronism of having "windows" in the barges. The brother of Jared said that they couldn't have windows because they would be broken in the water, however glass windows weren't invented until the Middle Ages. This article suggests that the brother of Jared was refering more to shutters than to glass. In Ether 2, the Lord asks the Brother of Jared what he will do to provide light in the barges. Many critics have dismissed the physical impossibility of shining stones, however, this article presents some interesting connections between the Brother of Jared's glowing stones and radioluminescent lights developed in a laboratory in New Mexico. In a devotional approach, Garret connects the light from the brother of Jared's glowing stones to the spiritual light in our lives. He specifically expounds on how faith, hope, and charity are the key components for Latter-day Saints to bring spiritual light into their lives. Matthews, Robert J. "The Mission of Jesus Christ - Ether 3 and 4." In The Book of Mormon: Fourth Nephi Through Moroni, From Zion to Destruction, edited by Monte S. Nyman and Charles D. Tate, Jr., 19-29. Provo, UT: Religious Studies Center, 1995. This article centers primarily on Ether, chapter 3, which contains an account of a personal visit of the Lord Jesus Christ to the brother of Jared about 2,200 years before he (Christ) was born in the flesh. This event is entirely unknown outside of the Book of Mormon and thus no other people besides the Latter-day Saints have this information in their literature. The record not only tells of a magnificent manifestation, but interwoven in the story are several fundamental doctrines of the gospel of Jesus Christ. Jackson, Kent P. "‘Never Have I Showed Myself Unto Man’: A Suggestion for Understanding Ether 3:15a." BYU Studies Quarterly 30, no. 3 (1990): 71-76. Hopkin, Shon D "Preparing Students to Recieve Revelation: Insights from the Book of Mormon." Religious Educator: Perspectives on the Restored Gospel 13, no. 2 (2012): 72-87. This article takes examples from the Book of Mormon to show how students can likewise receive revelation and communicate with the Lord. The article takes several examples from the brother of Jared's encounters with the Lord, to show how teachers can help students develop a desire to receive revelation, and then students need to desire to seek further light and knowledge on their own. Bokovoy, David E. "'Thou Knowest That I Believe': Invoking The Spirit of the Lord as Council Witness in 1 Nephi 11." Interpreter: A Journal of Mormon Scripture 1 (2012): 1-23. The Book of Mormon features accounts of conversations with the Spirit of the Lord onn exceedingly high mountains. The following essay explores some of the ways in which an Israelite familiar with ancient religious experiences and scribal techniques might have interpreted this event. 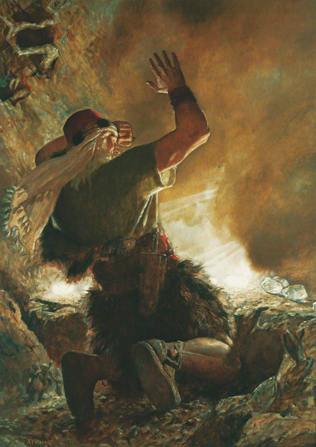 The analysis shows that Nephi’s conversation, as well as the brother of Jared's mountain encounter with the Lord, echoes an ancient temple motif. Tvedtnes, John A. "Glowing Stones in Ancient and Medieval Lore." Journal of Book of Mormon Studies 6, no. 2 (1997): 99-123. 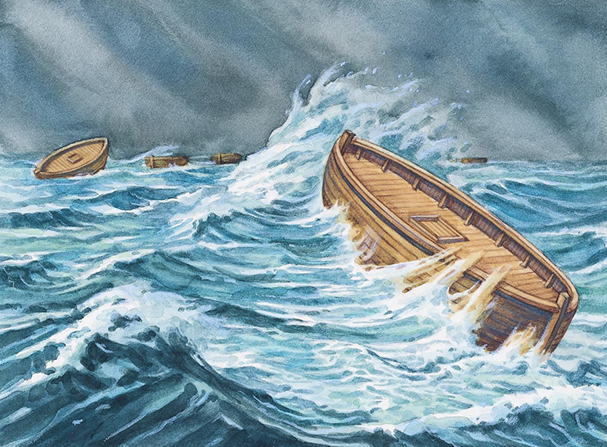 One of the great miracles of the Book of Mormon occurred when the brother of Jared asked the Lord to touch some clear stones so they would provide light inside the barges that would take his people across the ocean to the New World. To some modern readers, the story seems implausible. This article surveys a number of ancient and medieval accounts of glowing stones, including some said to have been used in Noah’s ark and the “fish” the Lord prepared to swallow Jonah. The parallels to the Jaredite story are remarkable and suggest an ancient milieu for the book of Ether. Tvedtnes, John A. "Appendix 2: Glowing Stones in Ancient and Medieval Lore." In The Book of Mormon and Other Hidden Books: "Out of Darkness Unto Light", 195-225. Provo, UT: Foundation for Ancient Research and Mormon Studies, 2000. Thomas, M. Catherine. "The Brother of Jared at the Veil." In Temples of the Ancient World: Ritual and Symbolism. Edited by Donald W. Parry. Salt Lake City and Provo, UT: Deseret Book and FARMS, 1994. While there are many accounts in scripture that record sacred encounters with the Lord, this article focuses on some of the temple elements in the experience of the brother of Jared: (1) the tower of Babel, (2) his period of probation, (3) his experience at the cloud-veil, and (4) some observations on faith and knowledge as revealed in the brother of Jared’s search for the heavenly gift. One can see that these four elements follow a temple pattern: a false religion is offered; a period of probation or trial of faith is provided; and upon obedience, light and knowledge are granted. Arts, Valentine. "A Third Jaredite Record: The Sealed Portion of the Gold Plates." Journal of Book of Mormon Studies 11, no. 1 (2002): 50-59, 110-111. Anderson, Kenneth W. "'The Knowledge Hid Up Because of Unbelief'." In The Book of Mormon: Fourth Nephi Through Moroni, From Zion to Destruction, edited by Monte S. Nyman and Charles D. Tate, Jr., 31-44. Provo, UT: Religious Studies Center, 1995. While most modern scientists accept that the first Native Americans came to this continent via a land brige, there is some evidence to suggest that the first inhabitants may have encountered the Americas by sea. Tvedtnes, John A. "The Jaredite Ocean Voyage." In The Most Correct Book: Insights from a Book of Mormon Scholar, 285-290. Salt Lake City: Cornerstone Publishing, 1999​.